Few designers get the chance to freely envision an architecture that has the spatial impact that the new Melbourne Theatre Company precinct does. Alighting from the pavement and jettisoned up the entry stairs, this architecture from Ashton Raggatt McDougall, the latest in their collection of leading projects, presents a plethora of colour and the feeling that you have most certainly arrived. Working on projects where design integrity is evident invigorates DTAC’s product design team. Our certified installers respond well also, consulting and installing on building works where craftsmanship is appreciated, complimenting their own ethos of ‘do it right the first time’. 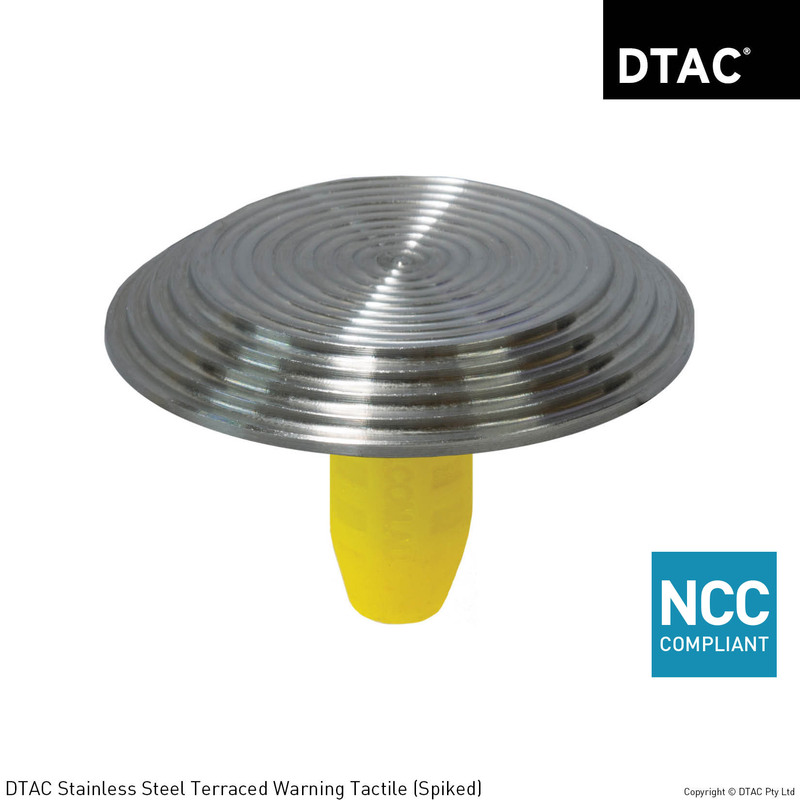 Significant installations of the DTAC DT0110 stainless steel terraced warning tactile were designed and installed to not only ensure compliance but to compliment the overall appeal of the buildings design. To maintain the essential services requirement of AS/NZS 1428.4.1, DTAC conducted a 12 and 24 month ‘Tactile Compliance Review Programme’ where the installations were inspected and catalogued. This information is collated and presented to the facility manager and building owner to ensure their responsibilities and obligations of maintenance are met.